Well…many, many moons ago, I won a batch of bird blocks in the lotto (April 2013, to be precise). They sat around for a long time waiting for a “special occasion”. I pulled one out last year to use as a starting block for a round robin swap, but otherwise, nothing. But finally, I got around to using some of them (about half, I’d say) in a baby quilt. I am reminded of just how sweet the blocks are – such a fun block and a fun baby quilt! That is such a cute quilt, Kate!! Totally agree aboout what a cute idea this is! What a darling quilt and such a lucky mom and baby that will get it as a gift. Love the bright colors and blue backgrounds. I love this, Kate. It turned out so cute. This would be a fun block to do again. Hi, I am new here. 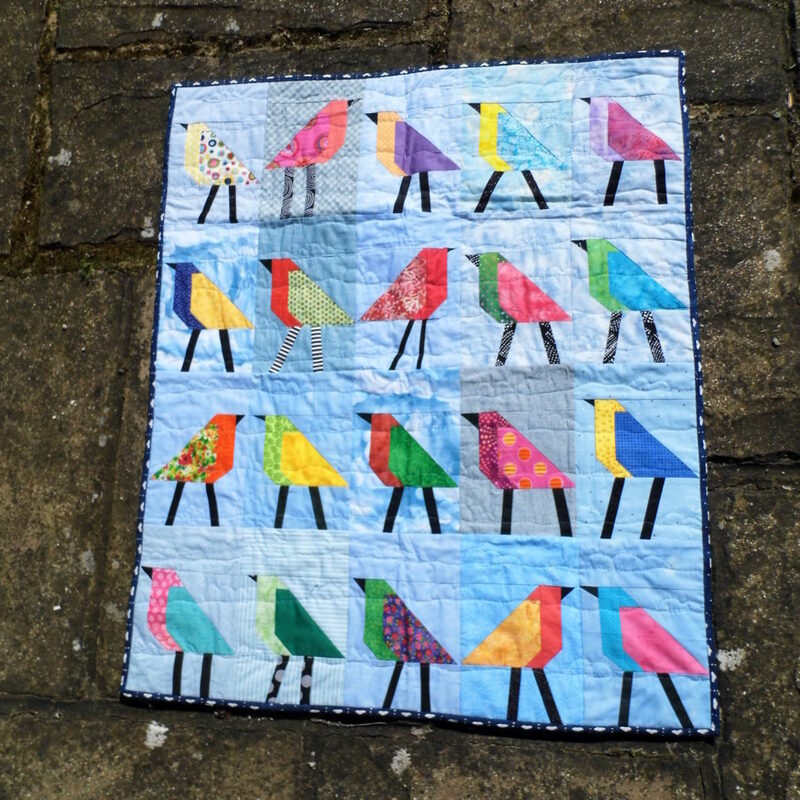 Love this bird quilt. Is there a way to get the bird block pattern?